It is an old saying that the plan is nothing if the planning is not right. 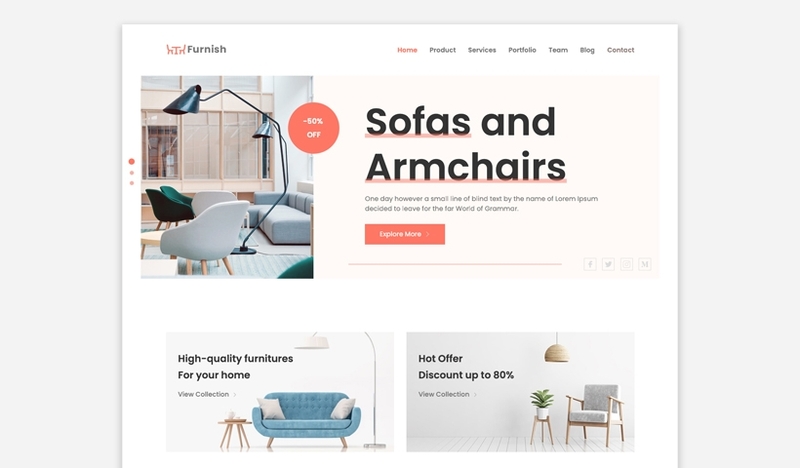 So, if you intend to build a successful website or an online store where like- minded people would gather around to browse and submit, you cannot ever ignore the first step – choosing right template and theme. 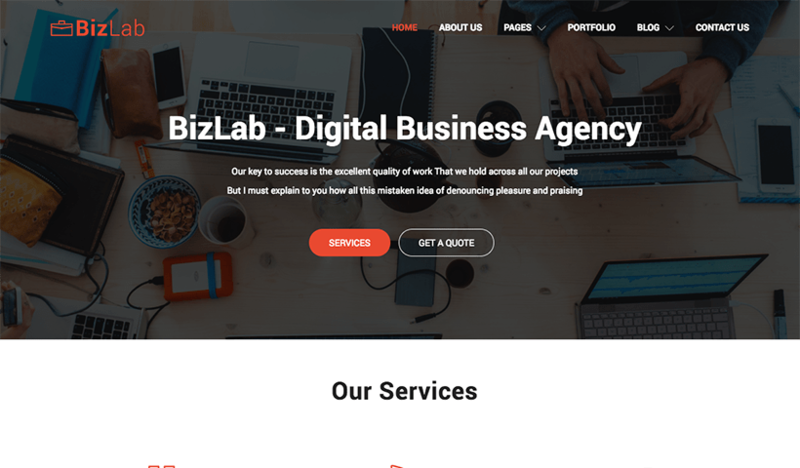 Not only templates give your websites a classy touch, but it also helps you to put things into right places as well. The icing on the cake, the right template or theme can hook visitors like a moth to flames. What are the right and the perfect image of a template? Depending on the function of the website, the features of a template should vary as well. If you wish your website to be handy of getting successful submissions and listing of the classified ads, your website should load and get updated as quickly as possible. 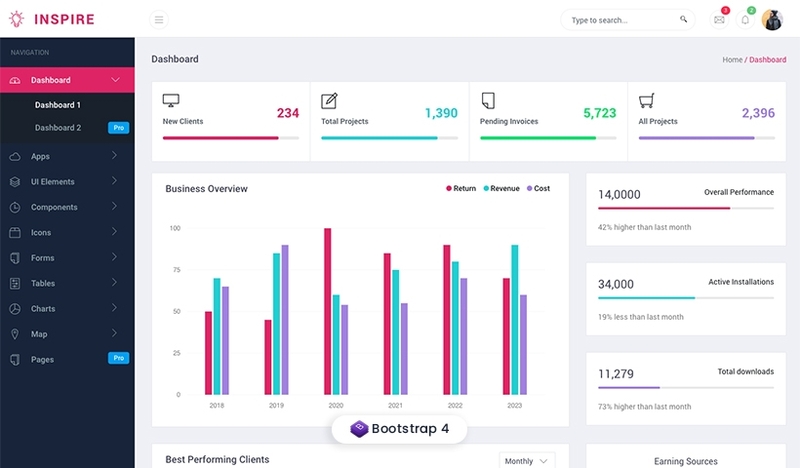 And besides keeping the feature of fruitfulness, a clean dashboard is always expected of a website. 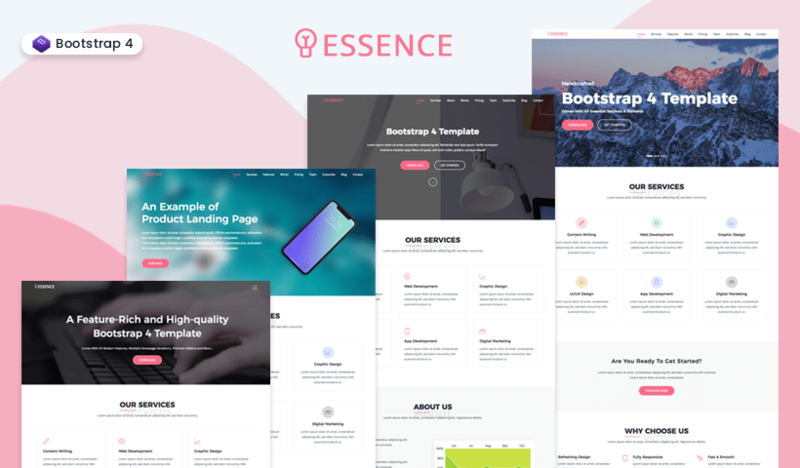 The most user-friendly template is here! This HTML5 based classified ads template is surely a great pick if you are always after the best. 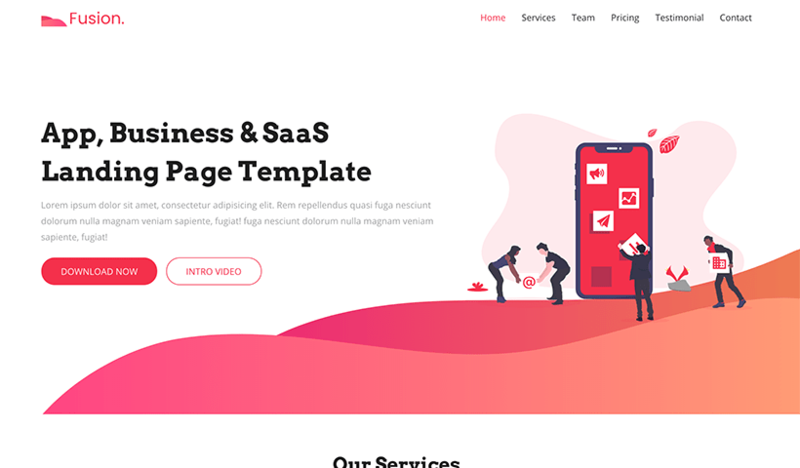 Easy to use, responsive layout and slick design – these can be the only reasons why this template should be the chosen one. 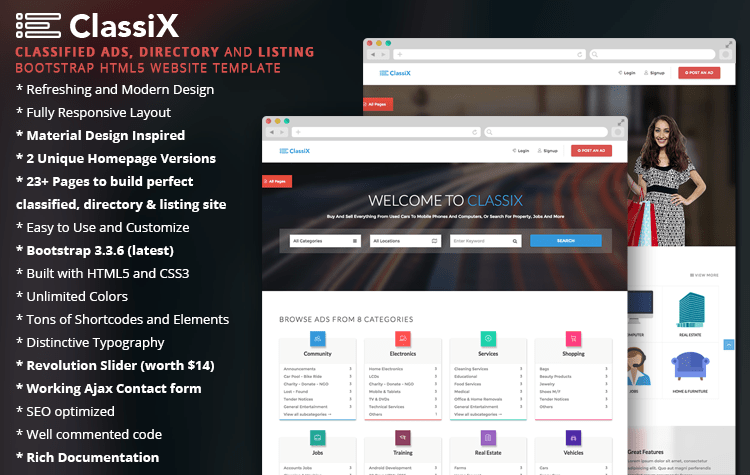 Along with a cross-platform support, ClassiX is a rich and easily customisable template which also ensures the latest version of bootstrap for the users. 30+ job portal page layouts should surely be the point of satisfaction. Also, the slick look of this website is something no one can ignore. 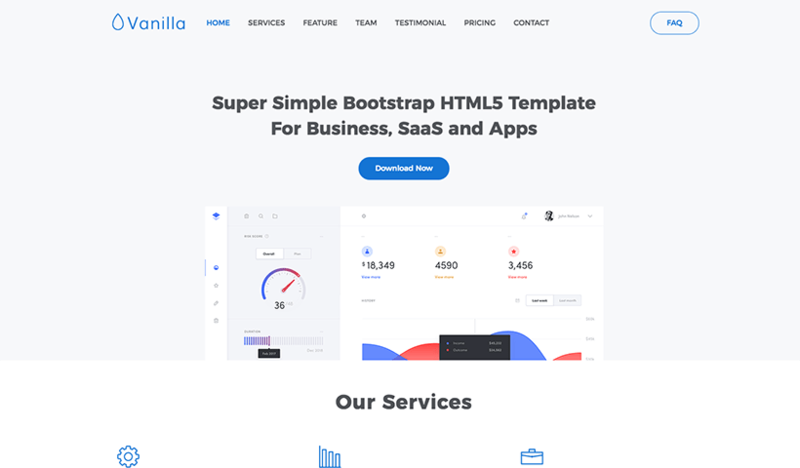 The user of this template can obtain 4 homepage variations with a JobBoard HTML5 website template. 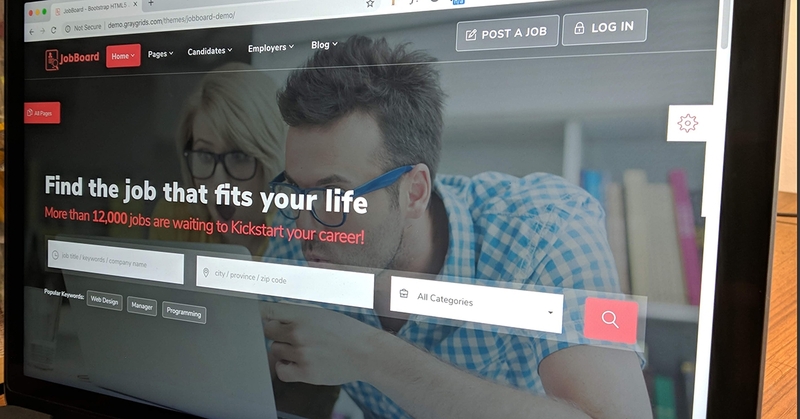 The blessing of customization is surely just another cherry on the cake for the users of Job Board. 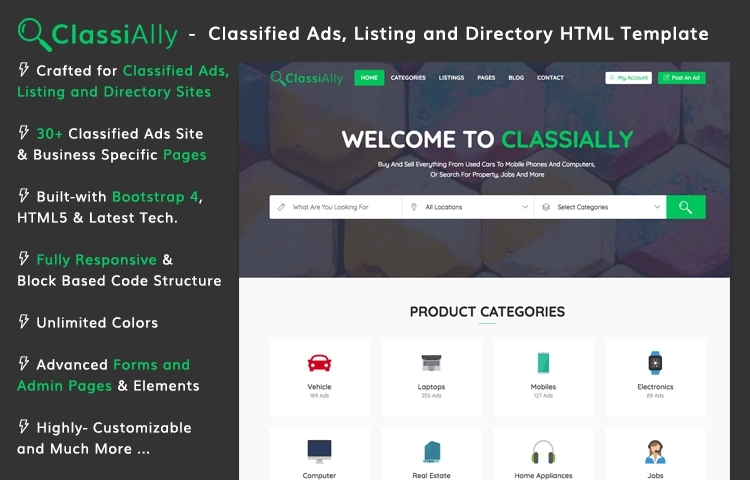 Built with Bootstrap version 4, ClassiAlly is perfectly crafted template for classified ads and listing websites. 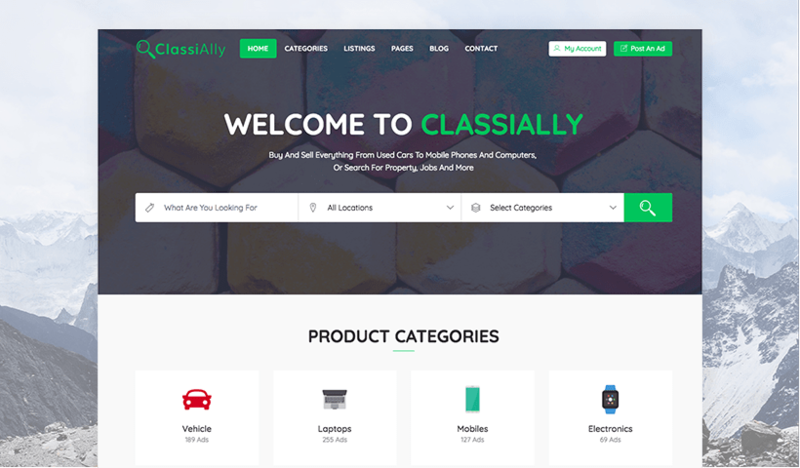 All decorated with SASS style files, ClassiAlly comes with 30+ classified ads specific pages. 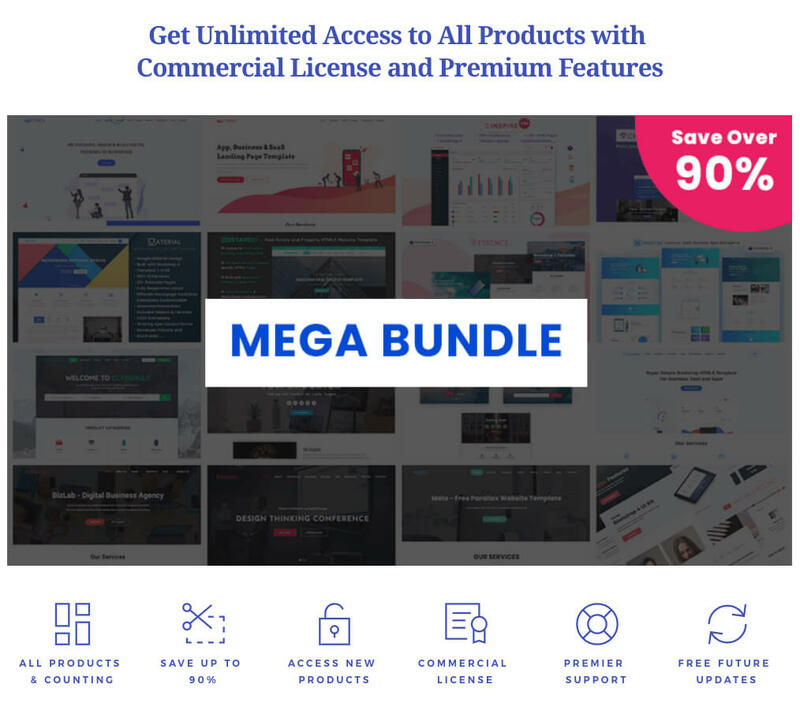 And the best part is that it has both a free and premium version for the users to experiment. 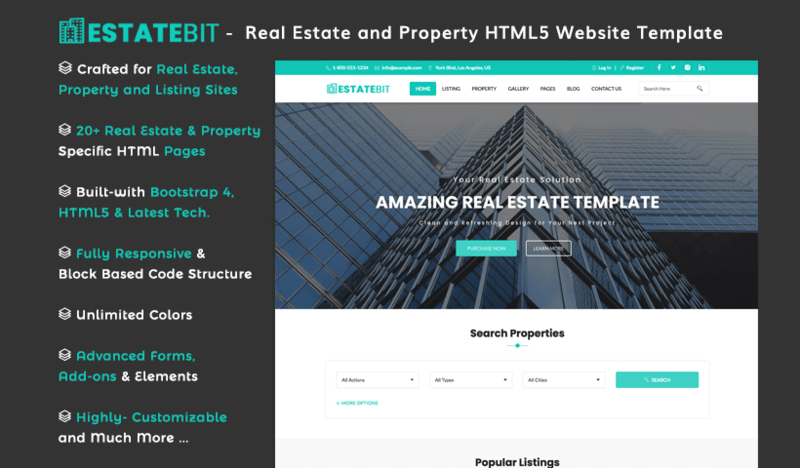 EstateBit is High-quality real estate a property directory website template built-with Bootstrap 4. 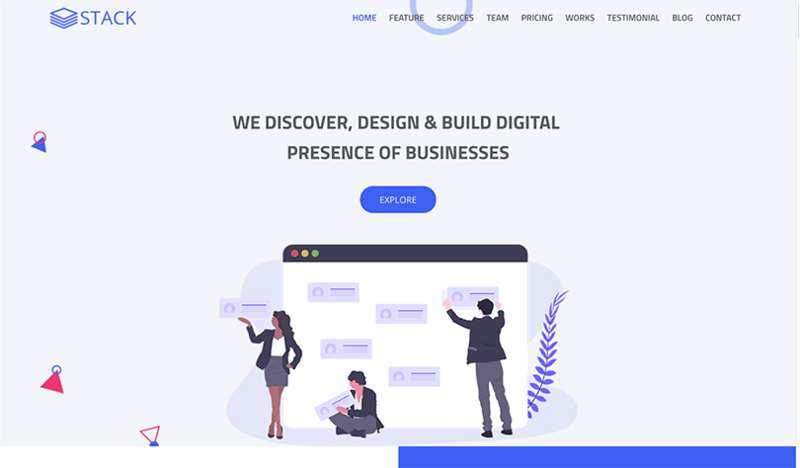 It comes with 30+ real estate website specific pages and impressive design best suited for – real estate, housing, real estate directory and other property related websites. It also includes 3 different homepage variations and all essential libraries and plugins for efficiency. 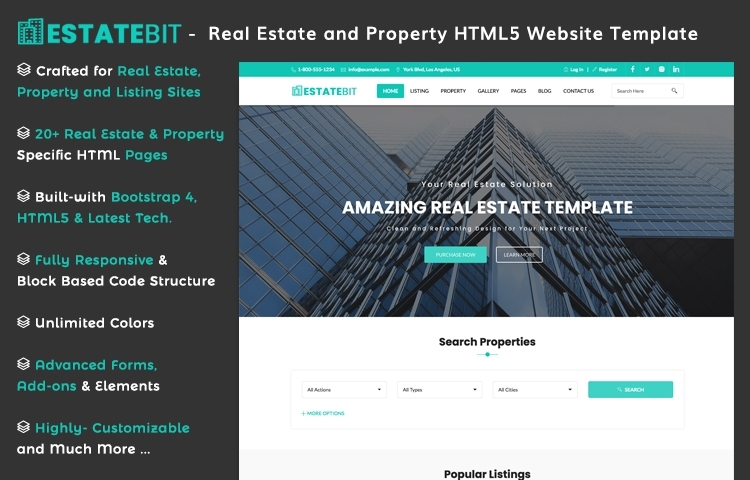 If you are looking for an ideal real estate website template, EstateBit is the perfect choice for you. 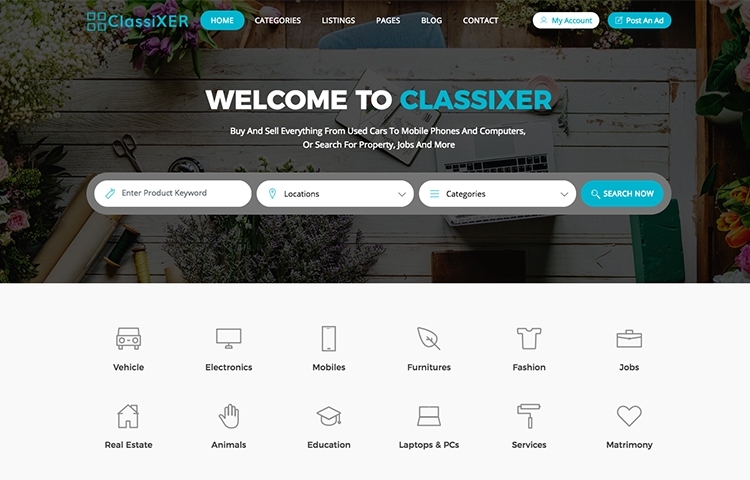 ClassiXER is another great combination of Bootstrap version 4 and HTML5. 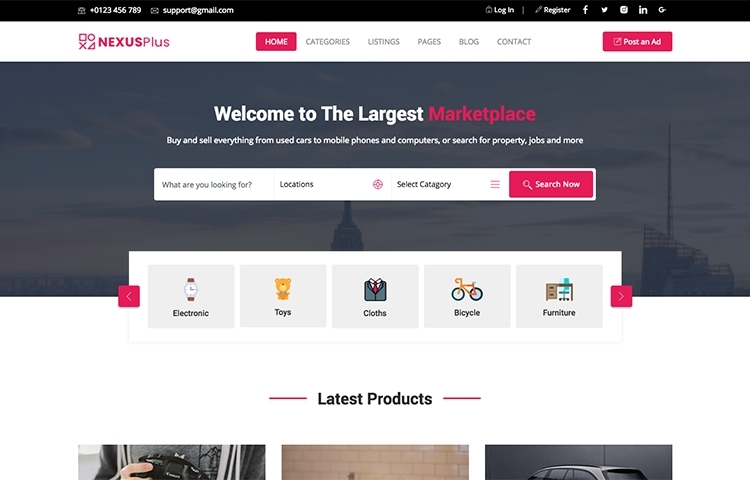 This specially crafted template for classified ads, listing and directory websites also has SASS and CSS3 included in its system. 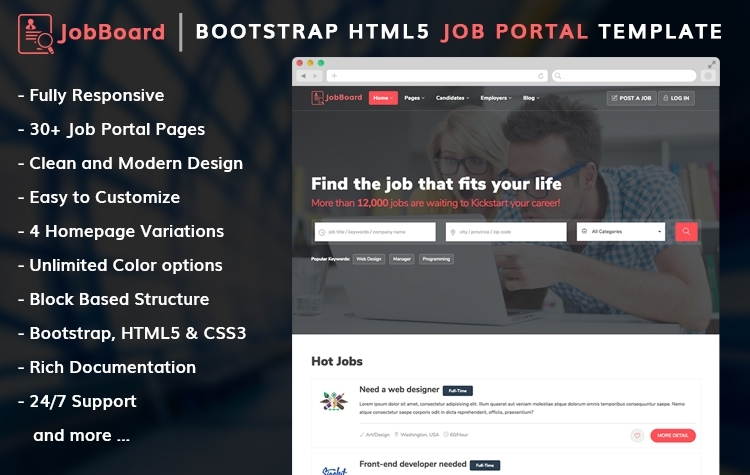 Based on Bootstrap 4 and HTML5, this is one of the best job portal website templates in the market right now. 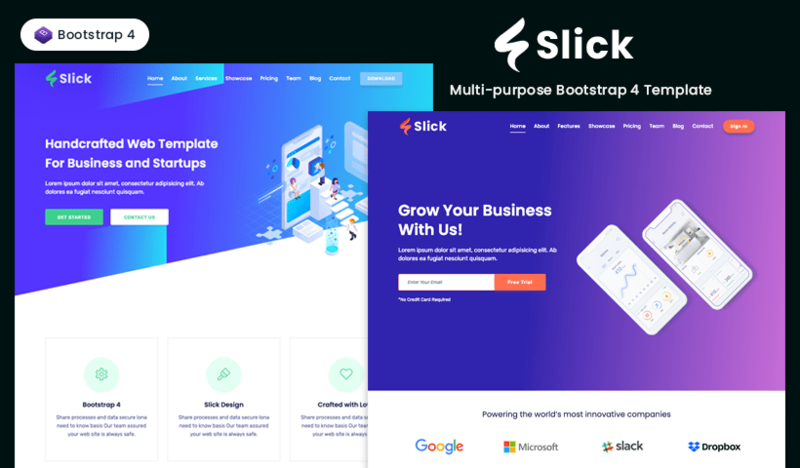 The unique homepage designs, refreshing styles, plug-ins and add-ons are the best characteristics of this template. 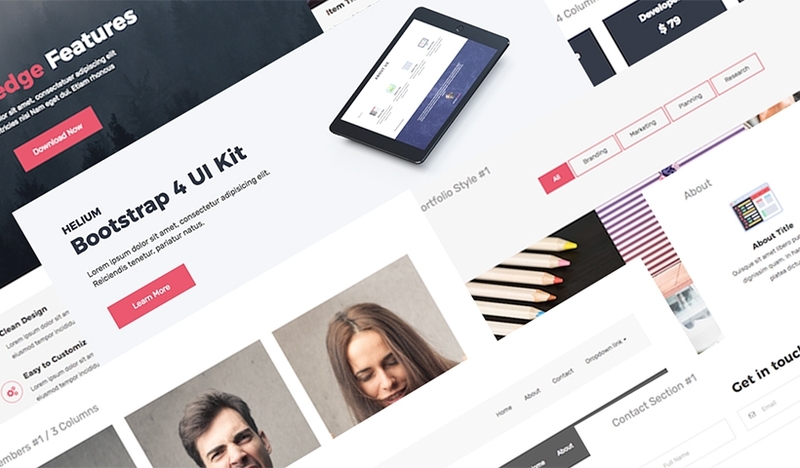 On top of it, this job directory template provides great customisation tools for the users. 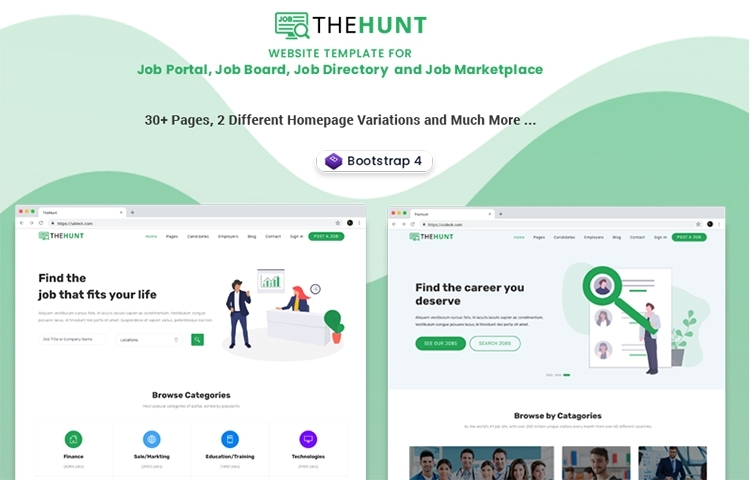 For any job portal template hunters, this is the perfect choice one can ever have. Wrapped up in all modern technologies and updates, NexusPlus is surely one of the top 10 classified ads, listing and directory websites. 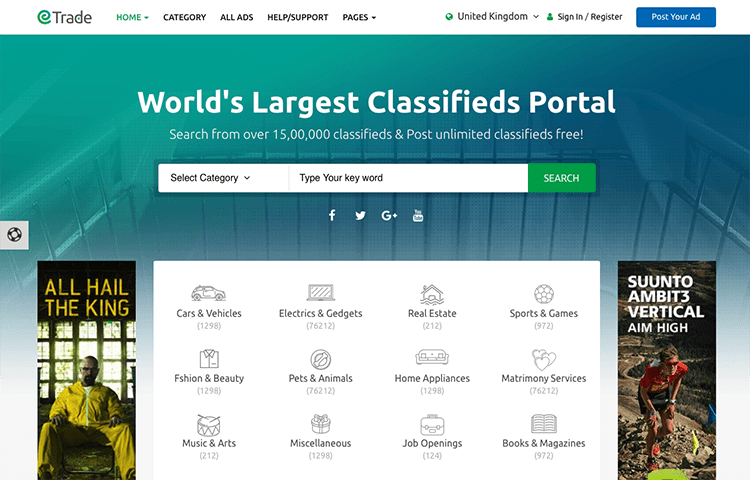 With 20+classified ads specific pages, this template provides high quality customised service to its users. Also, the UX or UI of this template is so simple that any layman can use it without any prior help. The blend of CSS3 and HTML5 has made this listing and directory website template so famous. 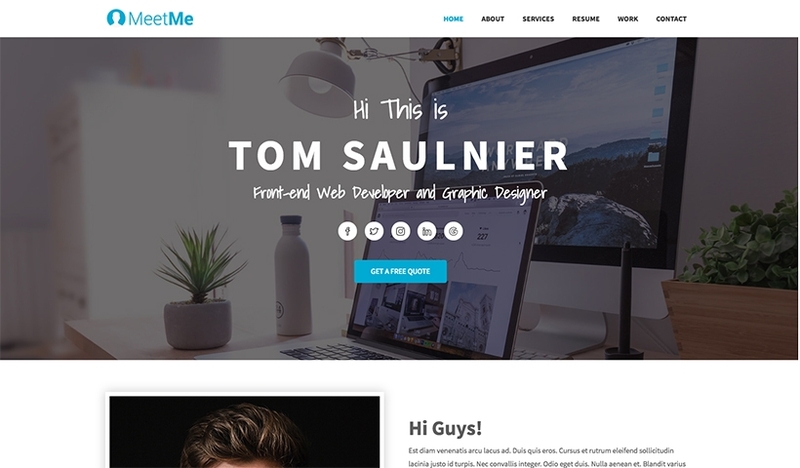 Responsive, easy to use and smooth design – these are the main three attributes of this template. 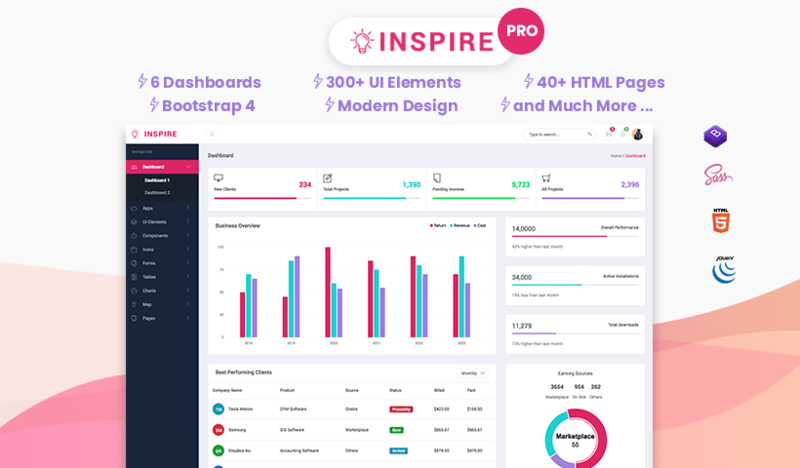 Also, cross- platform support, multi-vendor support and pricing special support have already been added to this template to enrich the user experience with a higher degree. 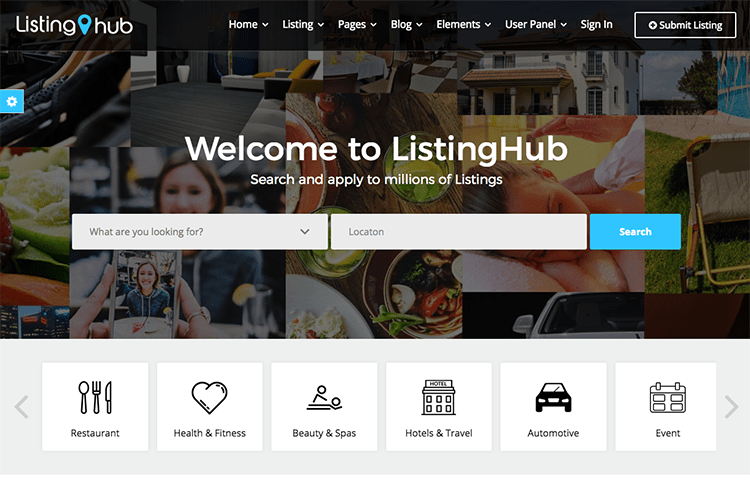 If you want to make your website submission perfectly easy and perfect, this is the right listing and directory website template available on the market. The diverse range of shortcodes has levelled up the expectation of this template even more. 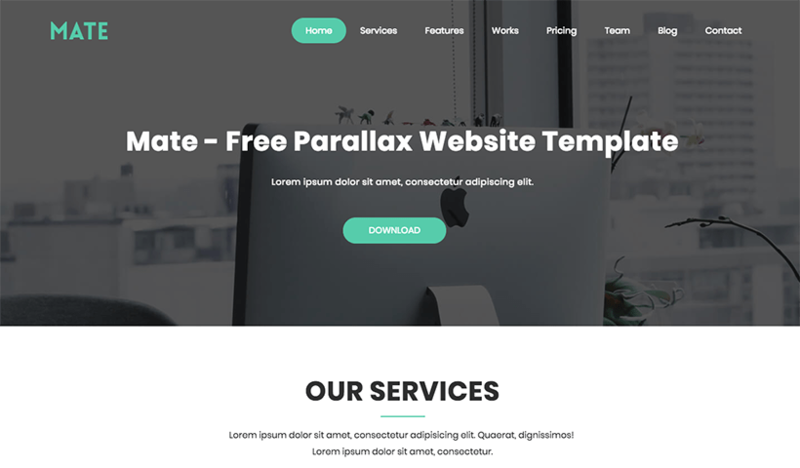 Also, it has a parallax effect which is the perfect tool to charm your visitors. 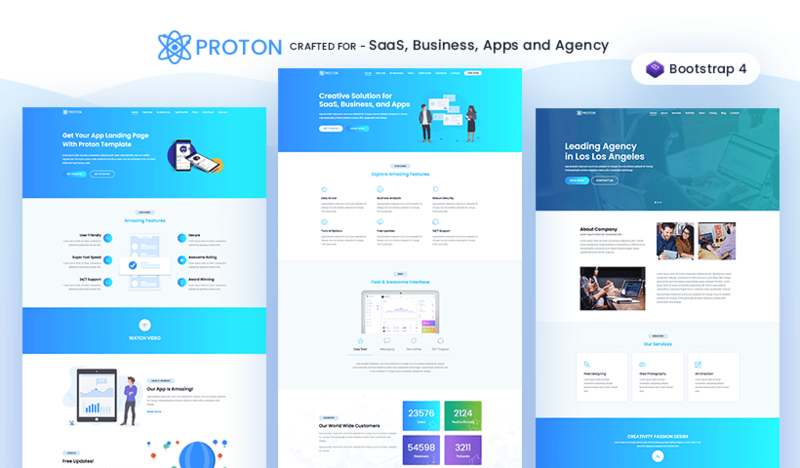 Just like a brick cannot build a house, only contents cannot build a website. It needs hundreds of other tools that might seem unnecessary at first. And among such tools, the right template is one of them. The right template will not only charm your visitors; rather it will give your website the signature that it deserves. Choose it wisely.